Our approach to the specification, design, validation and optimisation of products has won a number of high-profile business awards for innovation. The design techniques we use allow us to specify and design bespoke products that are optimised with regards to material content and structural design. This enables us to provide products that are expertly balanced in terms of cost, environmental impact and health and safety aspects. 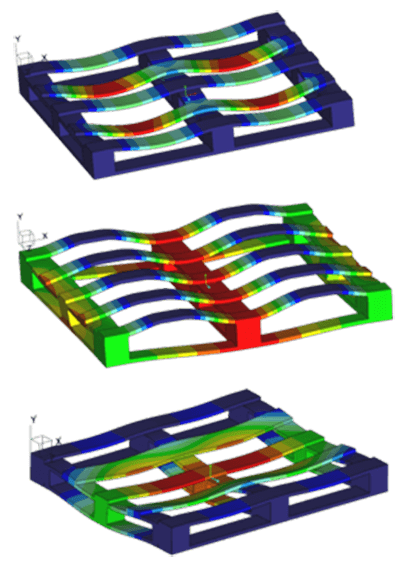 We use state-of-the-art CAD software and Finite Element Analysis simulation techniques alongside industry standard design packages such as PDS (Pallet Design System) to design and validate our products. Our knowledge and expertise extend across a range of materials including; timber, heavy-duty and conventional corrugated, panel products and foam. Finite Element Analysis (FEA) is a method for simulating the effects of real-world forces on a product design within a virtual environment. Whilst this digital design validation technique is used by companies across a range of industries such as automotive, aerospace and civil engineering in their product design processes, we are the first transit packaging company in the UK to use this approach in the design of timber transit packaging products. Using these techniques, we are able to simulate the effects that forces such as load compression, fork-lifting and stacking are predicted to have on packaging early on in the design process. This enables us to optimise material content and pinpoint areas of stress and weakness, mitigating potential risks of failure in use that could subsequently result in packaging failure, product damage and health and safety risks during the logistics process. Conversely, we are also able to identify and eliminate areas within the product design that contain surplus material, reduce excess cost and environmental impact when the product reaches the end of its useful life. Furthermore, this capability also allows us to supply products along with a declaration that the products fulfil the requirements of UK Packaging (Essential Requirements) Legislation which state that “Packaging must be manufactured so that the volume and weight is limited to the minimum adequate amount to maintain the necessary level of safety, hygiene and acceptance for the packed product and for the consumer”. 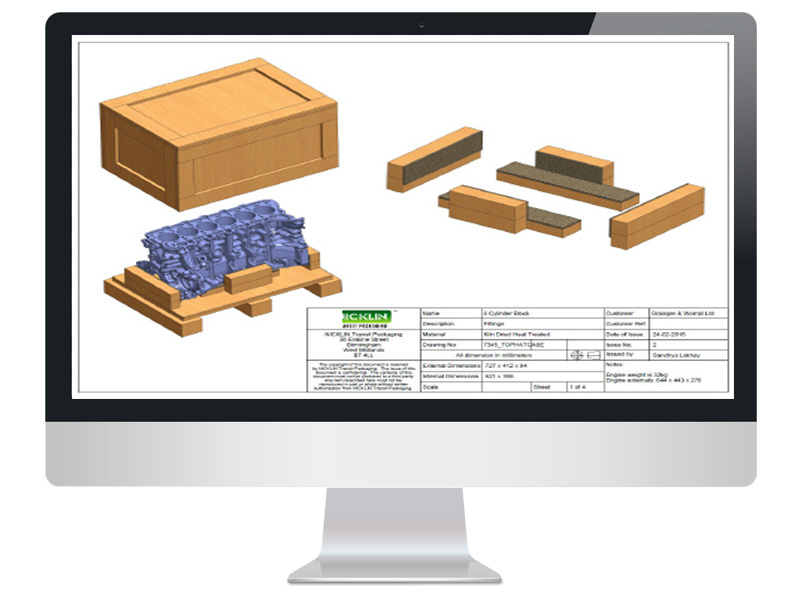 Pallet Design System™ is industry standard software specifically used for the specification and design of timber pallets. Developed in the USA by NWPCA (National Wooden Pallet and Container Association) and Virginia Tech University, PDS has developed a highly respected reputation throughout the industry since its initial introduction in 1984. We have web-based global asset tracking and monitoring capabilities to remotely monitor shipments in real time whether by road, rail or sea. 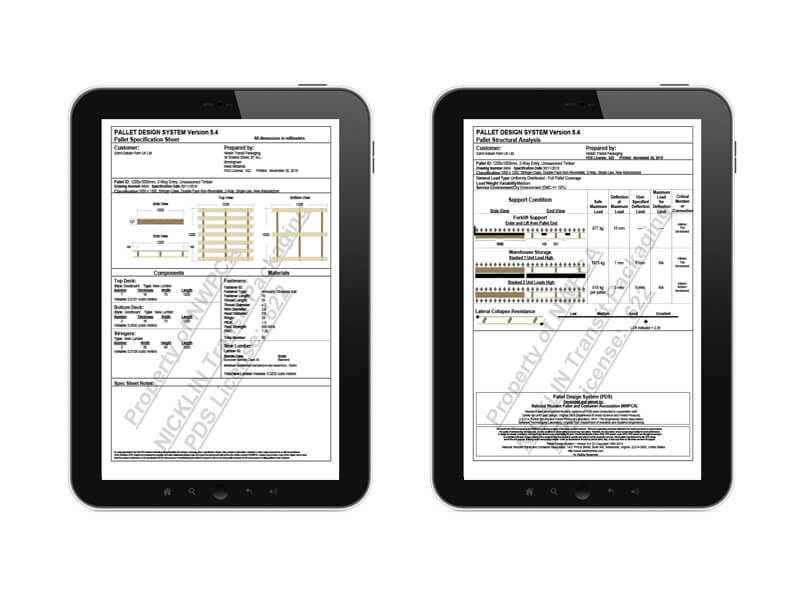 We can apply this technology to a range of applications e.g. 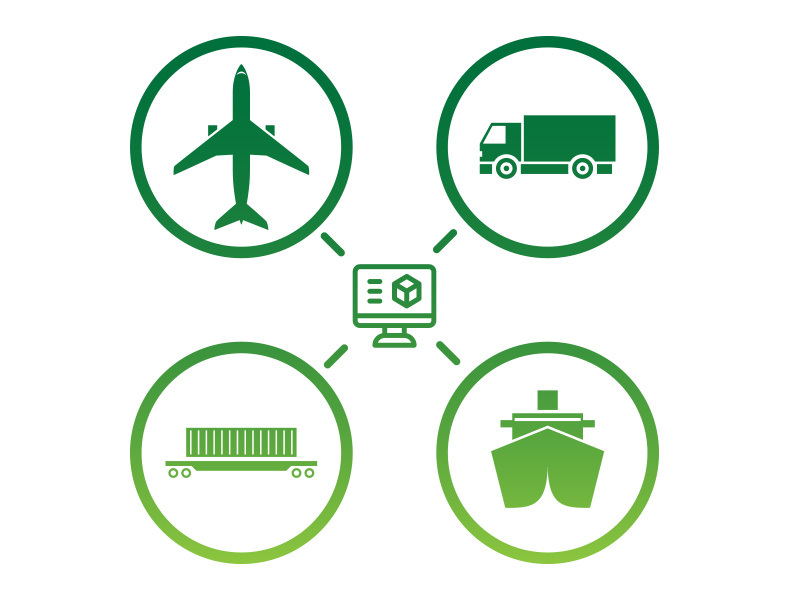 monitoring high value shipments, identifying potential reasons for repeated damage in transit issues or to build a comprehensive picture of the rigours and parameters of an average trip, in turn using this data to influence our product design process.